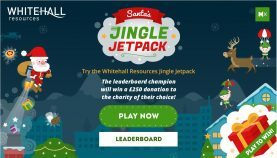 The Whitehall Jingle-Jetpack game tested our candidates' and clients' video game skills and spiced up the festive season in 2018 by getting players from 21 countries to compete for the first place in the leaderboard and get the chance to win a £250 donation for the charity of their choice. 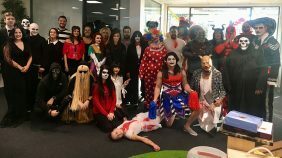 Our community is important to us, and although it has been a busy year, we like to make sure we take the time to support those who need it the most. 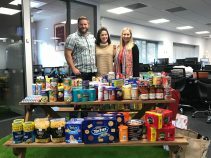 This year, our Whitehall team has worked together to donate food, clothes and toys, as well as raising money for various charity organisations. We have been proud first team sponsors of Colchester Rugby Football Club since 2014. Our partnership has led to the continued development of local sports facilities used by over 600 youth's every year. 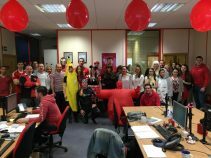 Our next challenge – a 3K relay race for Sport Relief! Ten of our most competitive Whitehallians are going head to head, running a 3k relay race for Sport Relief on Friday 18th March. 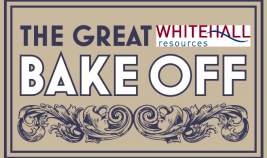 Whitehall Resources make top 5% of JustGiving Fundraisers for 2015! Whitehall Resources are proud to announce we are in the top 5% of JustGiving fundraisers for 2015! 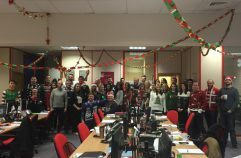 Whitehall Resources Christmas Jumper Day 2015! Today is Christmas jumper day where we dress up in our most festive knitwear in support of ITV’s Text Santa 2015 where all money raised will go to Macmillan Cancer Support, Save the Children and the Make-A-Wish foundation. Five of our most daring Whitehall girls put their skills to the test in a 5km challenging obstacle race all in aid of St Helena Hospice!